Should Vladimir Putin's daughter, Maria Putin be deported from Netherlands? Home Scandal and Gossip Should Vladimir Putin’s daughter, Maria Putin be deported from Netherlands? Should Vladimir Putin’s daughter, Maria Putin be deported from Netherlands? Should Maria Putin be made to leave the Netherlands? It seems personal fury over the recent Malaysia Airlines MH17 downing which saw the loss of 298 lives including that of 158 Dutch lives has reached fever point with Hilversum Mayor Pieter Broertjes reportedly telling Radio1 Netherlands that Vladimir Putin‘s daughter, Maria Putin, 29 who is thought to be living in the nearby Dutch city of Voorschoten, should be deported. Did the Netherlands purposefully intimidate Maria Putin to leave? The comments come off the back of growing backlash against Russia’s leader at the hands of Western media which has taken to relentlessly questioning the Russian leader’s degree of involvement in MH17’s downing. To date many outlets, particularly UK media have held the leader directly accountable, this despite the admission that no evidence of his involvement has been proven. It is in light of this tension which saw Pieter Broertjes, the mayor a small Dutch city near where Putin’s daughter currently lives, calling for Maria Putin to be deported from Holland, following Dutch anger against Russia and pro-Russian rebels in Ukraine after last week’s plane crash. 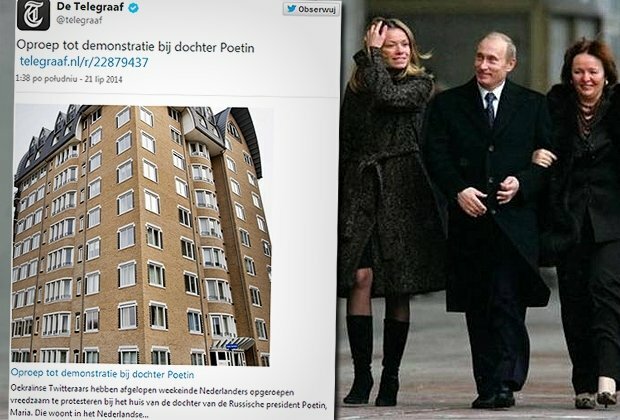 Media reports would tell that Maria Putin lived in Voorschoten with her Dutch boyfriend, Jorrit Faassen, thought to be a senior employee at Gazprom, a Russian-owned gas conglomerate. Nevertheless hours later Pieter Broertjes would backtrack on his comments. Very little is known about Putin’s two daughters, Maria and Yekaterina, who have rarely been photographed as adults. Maria is understood to divide her time between Russia and the Netherlands, with the couple remaining very much within Putin’s inner circle. She appears to keep her distance from her neighbours and her father and his staff are said to keep a close protective watch over her. Putin is said to be so paranoid about her safety that he has not allowed her to be photographed as an adult in the Russian media and sent her to university under a different name. Her new enemies on social media will do little to ease Putin’s fears for her safety. Despite Pieter Broertjes’ backing down, Dutch media has suggested that Maria Putin ought to leave as debate ensues as to Russia’s culpability after Malaysia Airlines MH17 flight of origin came to be Amsterdam. The latest call for Maria Putin’s deportation comes after locals led a protest outside Putin’s daughter’s flat this past Monday, with local media publishing a photo of her apartment. I really hope that V.Putin thinks that he can promote death and fear with out repercussion. He and his family are not out of reach . Hitler thought he was above pay back too. What a nonsense, are we going to deport Queen Maxima as well then back to her war criminal father? As A Dutchman is say that Maria Putin is more then welcome to live in the Netherlands. She has nothing to do with her Father. If we deport Maria Putin we should deport as well our Queen who is a daughter from a Argentinian War criminal. Furthermore i suggest that we first await the outcome of the investigation which currently takes place in Ukraine. The rockets might be made in Russia but probably it was not the Russians or Mr Putin who pushed the button. The USA delivers as well bombs and rockets to Israel, Are we now going to blame Obama for the dead children in Gaza? And what about the shooting of the Iranian Airbus by the US Army in 1988? http://en.wikipedia.org/wiki/Iran_Air_Flight_655. Ok the real reason that the small town Netherlands mayor wants Maria Putin ” the Russian president daughter” to be deported out of Netherlands is simple because she can become a valuable target for the other country’s that dislike Putin ” which means that the Netherlands can get invaded just to capture Maria Putin. That is one smart mayor right? 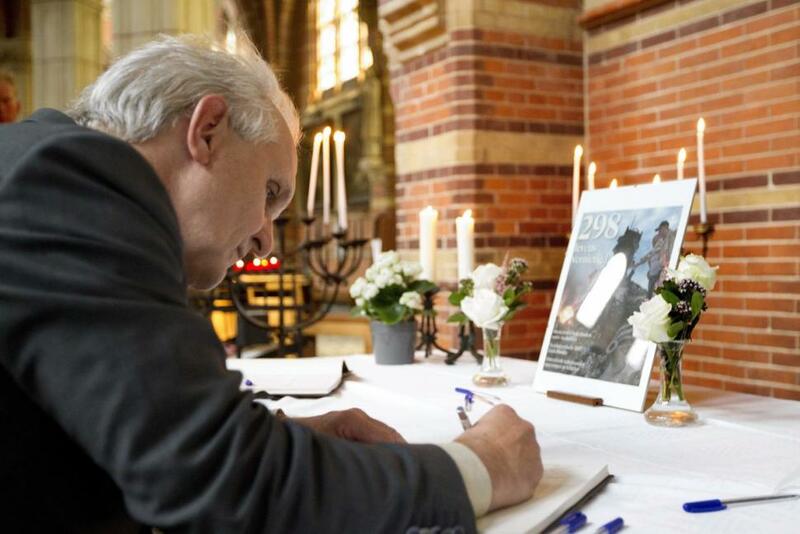 Enough citizens of the Netherlands have died because of Putin. 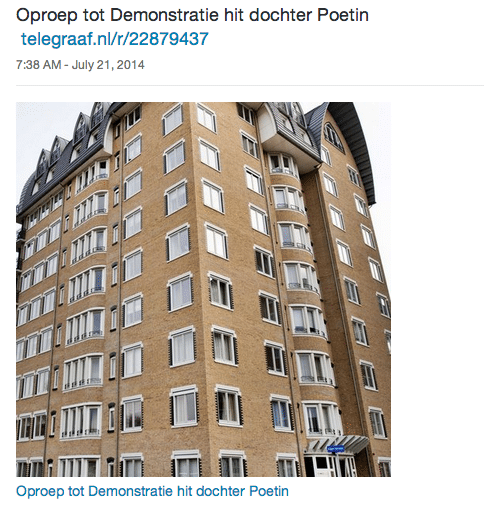 The mayor can say whatever he wants and it is cowardly to now walk back his comment….The Dutch are a tough people, do not be afraid of this little Russian gangster…yes deport her if you want what can possibly happen? I think Sam is missing the point. The answer is “Yes.” I’d bang her. happen? No, he would have detained her by now and denied it.